Time Frame: 15 min, 30min. Filter 11 EMA>30EMA only buy. Buy when 5 EMA>Volatility indicator above the withe level. Filter 11 EMA<30EMA only sell. Sell when 5EMA<Volatility indicator above the withe level. Profit Target 8-15 pips or Pivot Levels. 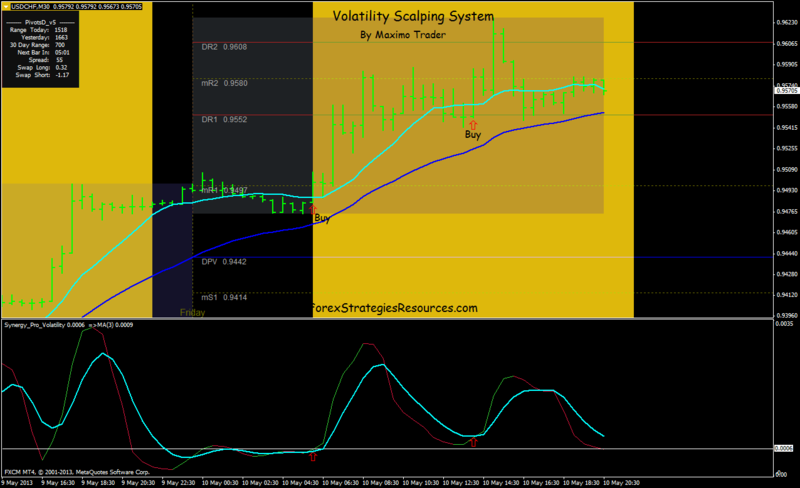 In the pictures below Volatility Scalping System in action. Maximo thanks for share this great system. 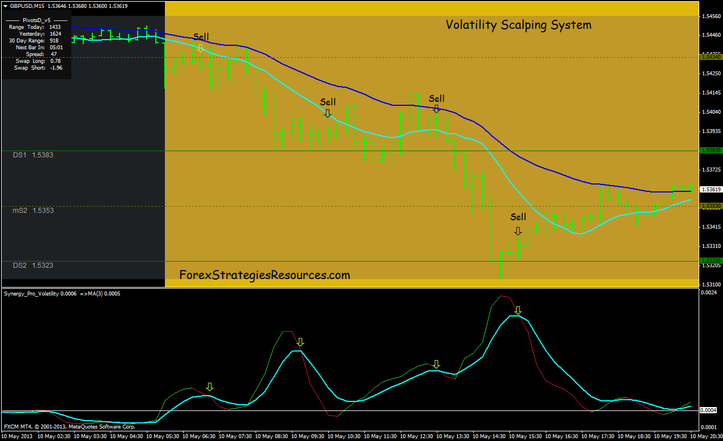 Trading System based on volatilty of the marketes.